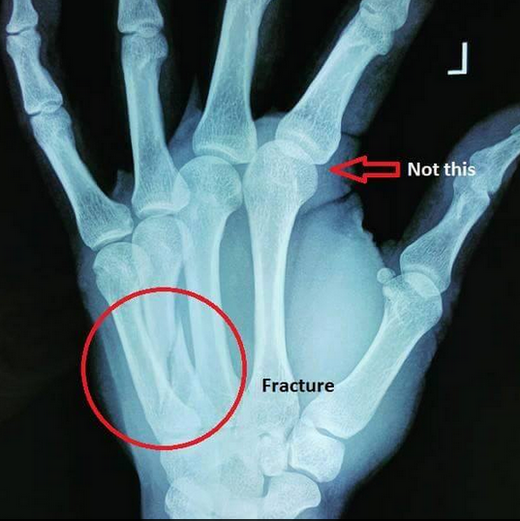 X-Ray Copy of Mark Caguioa's Broken Hand Injury: Look at it Here! Insta Scoop: Barangay Ginebra skipper Mark Caguioa injured his left hand in the second half of their Manila Clasico PBA Governors' Cup showdown against the Star Hotshots. Initial reports said that he's experiencing severe pain on his left metacarpal. Lo and behold, based on the X-Ray results, he has a left hand fracture which will sideline him for 1-2 months (maybe for the rest of the PBA Season 40).